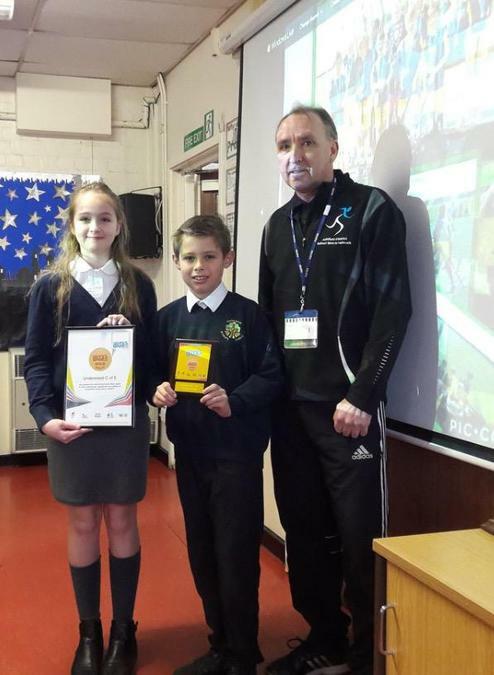 Earlier this week Glynn Hall, the School Games Organiser for Ashfield District, presented our school with the national School Games Mark Gold Award. This is awarded to schools who provide strong commitment to engaging pupils in high quality Physical Education and school sport. Another tremendous achievement for our school!